Nothing says spring like a bunny. 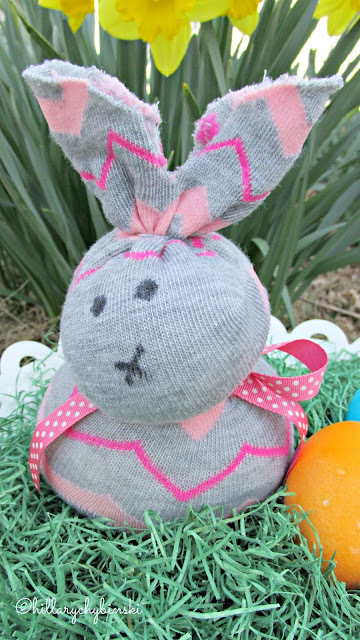 Whether Easter is your holiday or not, bunnies are a symbol of spring, and you can make an easy DIY no-sew bunny of your own. Not only is this bunny adorable, but thanks to some essential oils, it smells great too. 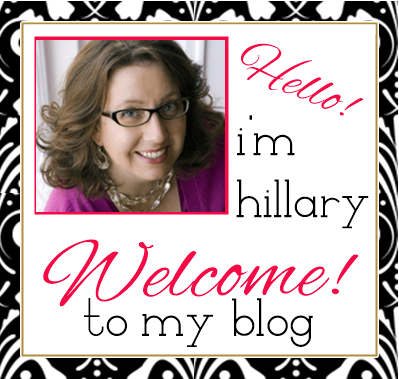 I see so many great project and craft ideas on Pinterest. And almost every day, I wish that I had some sewing ability . . .but I don't. None. Even sewing on a button is a challenge for me. So I'm always drawn to no-sew projects that use great fabric to create something awesome. You may have seen the adorable instructional video sweeping Facebook of a cute little no-sew bunny. There are several on Pinterest as well. The instructions are really easy and the results are adorable! 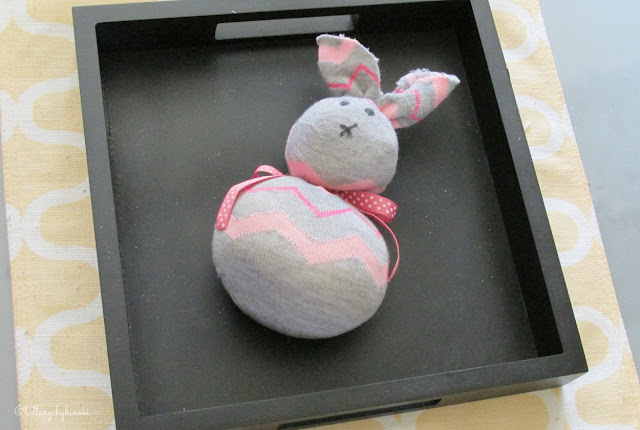 Using the easy instructions for making one with a sock, I came up with a little pink and grey bunny of my own. There are always so many cute socks in the Dollar Spot at my local Target. The Pink and Grey Chevron pattern practically leaped off the shelf at me, and I thought they would make an adorable bunny. I had everything else I needed in my craft stash! 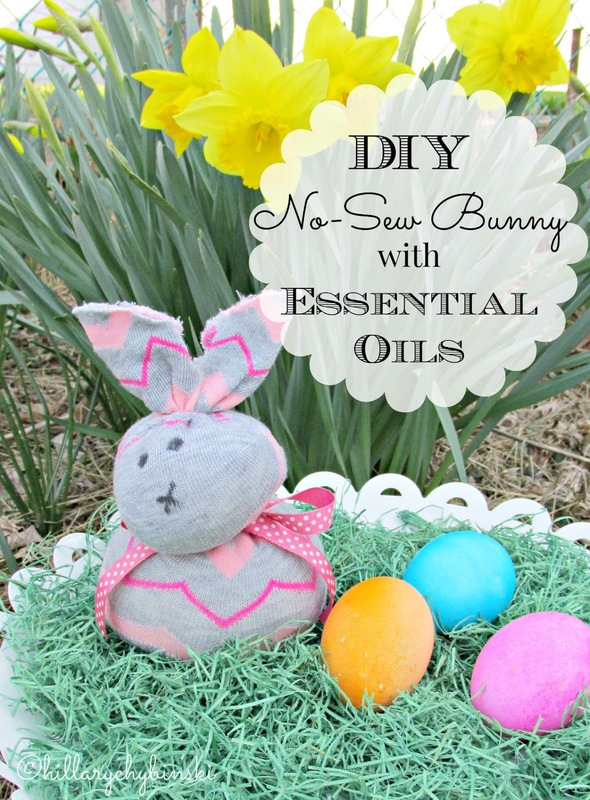 I added my own spin on the no-sew bunny by adding my favorite essential oils. To make this bunny not only adorable, but smell great too, just add some essential oils to the rice. 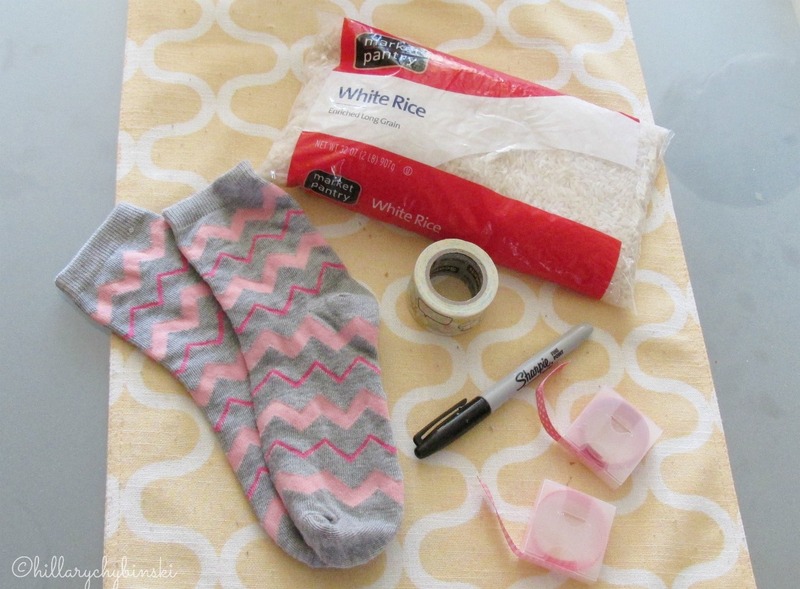 After you fill your sock with rice, add in 2-3 drops of your favorite oil. I used Young Living's Lavender Essential Oil for this little bunny. Lavender oil is great to diffuse for a relaxing environment. 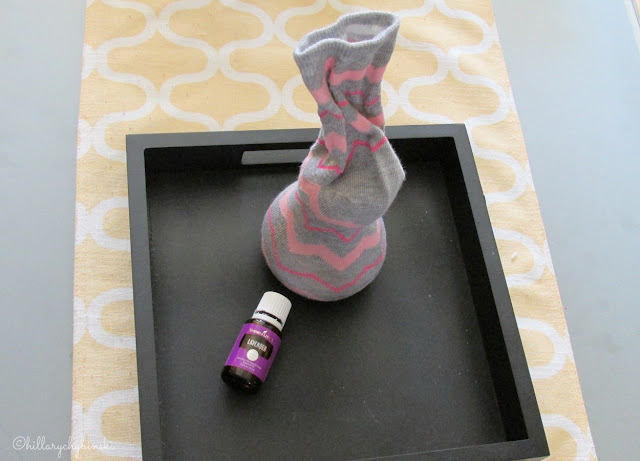 Just put this little guy on your desk or nightstand and give him a squeeze every once in a while to release and redistribute the oils. Lavender can assist the body when adapting to occasional stress and relaxes and clams you for a restful night sleep too. Since there are two socks, with a large bag of rice, you could easily make a no-sew bunny for yourself and give one to a friend too! If you want to know more about essential oils, you can read how I've been incorporating them into my life for better health and wellness. Have you ever made a no-sew project? How did it turn out? 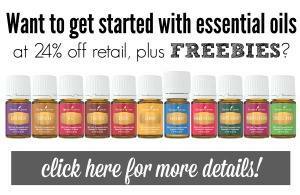 Essential oils are not regulated by the FDA and are not intended to treat, diagnose, cure or prevent any disease or illness. Love this. What a fantastic idea to add the lavender!